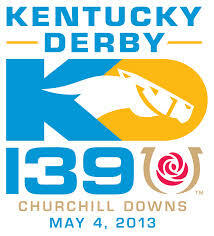 We're very excited to be gifting to the VIPs at this year's 138th Kentucky Derby on May 4, 2013! Also known as the Run for the Roses, this beloved event is exciting to watch, even if you can't make it to Churchill Downs in Louisville, Kentucky. Derby parties are fun events to throw for your friends and family while watching the two most exciting minutes in sports! There are plenty of great party ideas on Pinterest to make entertaining a breeze – click here to see what we've been pinning as we count down to Derby Day! Fun Fact: Eucalan is a great choice for caring for your equestrian tack! Click here to find out more! Our friends at Mountain Meadow Wool are celebrating Earth Month by giving away skeins of their sustainable yarn and one of our Getaway Gang Travel Sets on Facebook! 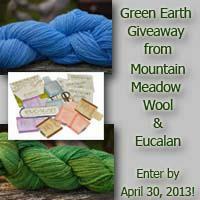 To enter, click here; be sure to like the Eucalan fan page, too! Eucalan was recently featured in a brand-new magazine called Creations Lingerie! Click here to read a digital copy; be sure to be on the lookout for our Wrapture ad, as well as mentions about us on pages 50, 112 and 115! At Eucalan, we believe that every day is earth day – that's why we've created our family of products to be as gentle on the environment as they are on your clothes. Our website has plenty of eco-friendly laundry tips that will help you reduce energy costs and conserve water; you can also view our laundry lessons on YouTube for simple ways to save time, money and the environment with Eucalan delicate wash! 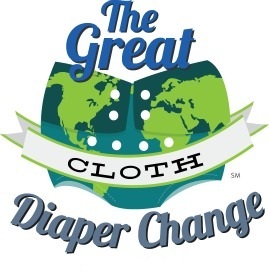 This month, we are proud to sponsor Sweet Bottoms Baby Boutique and the Real Diaper Circle in The Great Cloth Diaper Change on Saturday, April 20th. This unique event is being held around the globe to promote awareness of cloth diapers; so far, 15 countries and 225 locations have registered. Each event will take place at 11 AM local time, so the changing of the diapers will literally roll across the world! Eucalan is an excellent way to care for wool diaper covers along with many other baby items. We've even created a pinterest board dedicated to baby care with Eucalan! For our fans who knit and crochet, we've teamed up with the folks at Green Mountain Spinnery to bring you an anything-goes craft-a-long. During the months of April and May, simply cast on for any knit or crochet baby project using the eco-friendly yarns from the Spinnery. Projects that are completed before May 31st will be entered into our prize drawing for Green Mountain Spinnery yarn and Eucalan wool wash! To be eligible for prizes, you'll need to follow the instructions located here on Ravelry; if you would like to participate using other yarn options, feel free to share your progress photos here in the Eucalan Ravelry group.